Assignments are for adding lists to your classroom. This article will teach you how to add an assignment to a list and adjust assignment settings for your students. 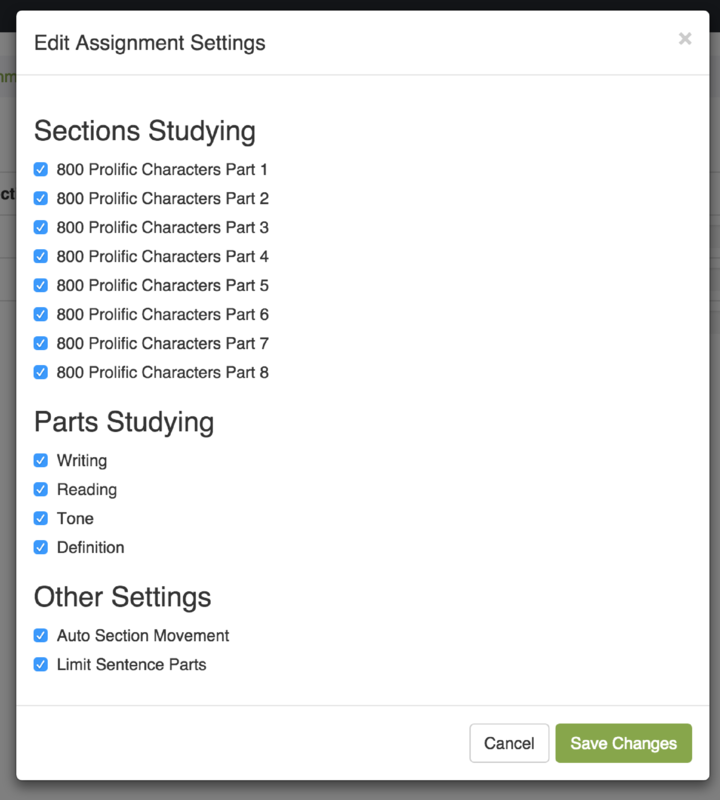 Assignments are essentially vocabulary lists on Skritter. These lists can be from Skritter's official lists, custom lists you've created, or even lists that other users have been made public. 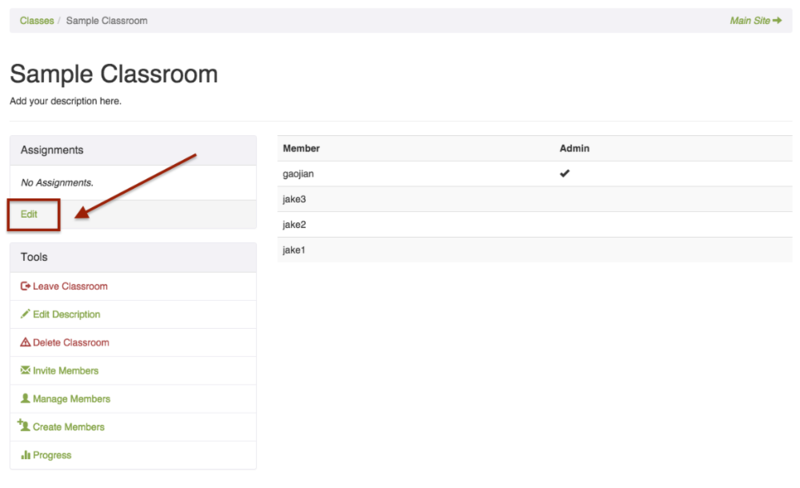 You cannot create new lists on the Skritter Classroom, so if you haven't done so yet, please go back to the main site and create your list first. Once your list is ready use these steps to create a new assignment! Click Edit under the Assignments header. 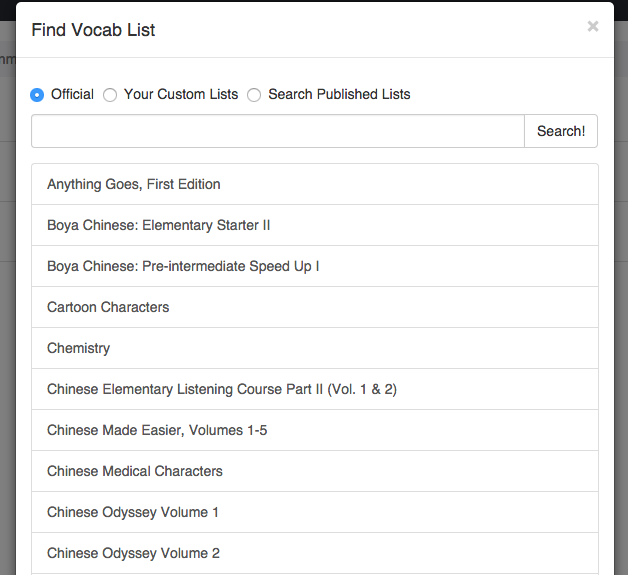 Search for the vocab list you would like to assign and select it! To edit assignment settings just select the assignment you'd like to change and select the Edit Settings button. Once you're done making changes click the Save Changes button and the updates will be propagated each and every student in the classroom!